Today we're going to continue our series of discussions on the basics of loudspeaker setup and positioning. We've already covered center channels, bookshelf speakers, port plugs, mounting on mounting brackets, and more, and today we're going to get to floorstanding or tower speakers. We've got an M80 High-Powered floorstanding speaker here in the video so you can get some ideas of what goes on in the room - how it interacts with the loudspeaker - and some simple tips that you can use when you're first setting up your speakers to try and get the best out of them. 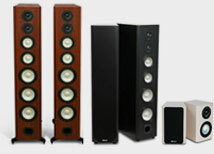 Unfortunately speakers have a very complex interaction with rooms. At low frequencies the performance is determined by the overall dimensions of the room: height, width and depth. This influences something called standing waves. We also deal with boundary effects or boundary loading, which is the proximity of the speaker to the floor, the back wall, the ceiling and side walls. At mid and high frequencies, we start looking at reflections. 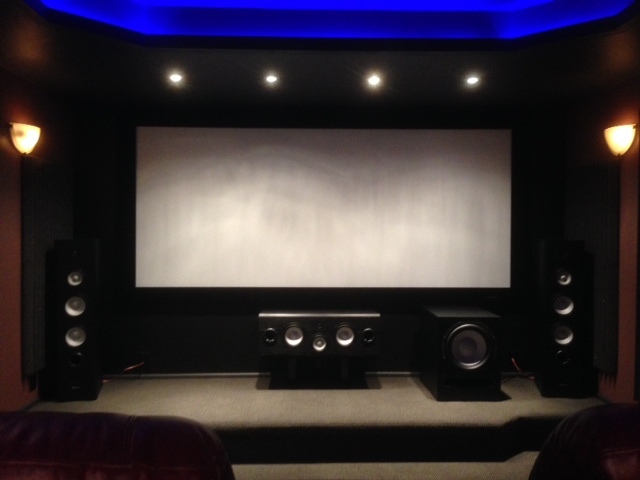 The reflections will depend on where the speakers are positioned in the room, and in particular how closely they are positioned to the sidewall will determine major sidewall reflections. Also the material that is on the wall and your floors - whether it's carpeted or it's a hard surface like hardwood, and also the absorptive and reflective items you have in your room - couches, chairs, bookcases, tables - all of those things influence what the speaker is going to perform like in the room. As you can imagine, every room is different, just like every loudspeaker is different, so there aren't any cut-and-dried "Do this and your speaker will work perfectly" rules. But here's a few things that you can look at. One of the things we want to do ideally is to keep the speaker away from the major wall boundaries. So that's the rear wall and the side wall. 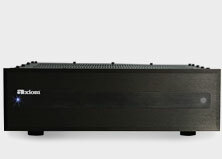 Those will influence how much boundary loading (that is, how much pickup you have in the bass) which can lead to the speaker being boomy-sounding or overblown in the bass if the speaker is too close to those boundaries. In many setups you don't have the luxury of getting the boundary away from the rear wall or side walls. In those cases you might want to look at port plugs, just as we talked about in the bookshelf speakers. This takes experimentation in your room: whether you plug one of the rear ports, both of the rear ports (or however many ports the speaker has) etc. It's something you can adjust and play with to get better bottom-end balance if you use port plugs and the speaker's got to be very close to the rear wall or side wall. Now, in terms of how far apart your speakers should be, a basic guideline is to equilateral triangle when you first set up the speakers. 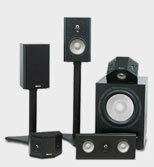 The two speakers form two of the corners of the triangle, and the third corner is your main listening position. So let's say that the distance from your listening position to the speaker is 10 feet. Try to start with the speakers 10 feet apart from one another. To many people, this is going to seem like having the speakers way too far apart. If you're 15 feet away from the speakers for example, 15 feet of separation will seem like way too much. But try it: start at that point if you can (assuming your room is wide enough) and have a listen. What you're looking for is good definition of the center image. If the image is washed out and you get a wall of sound, meaning you can't focus anything between the speakers, start moving them now closer together to one another until that locks in. What's happening? 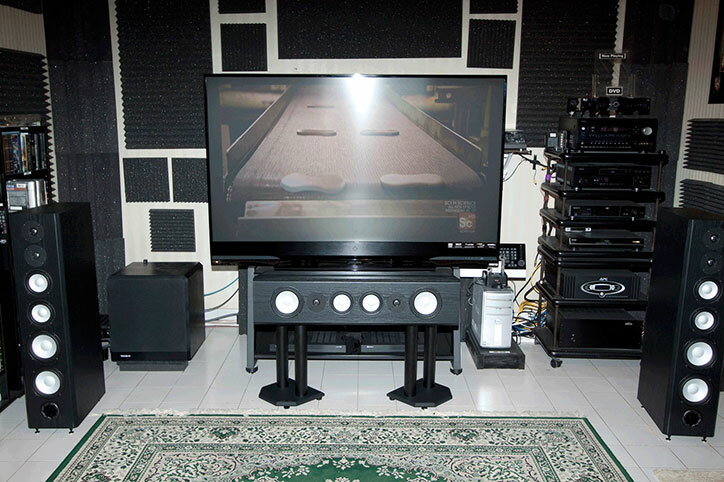 The wider apart you have your speakers positioned, the wider the soundstage and the image is going to be. But if it gets too wide you're going to lose that image focus - for example, centering things like solo vocalists between the speakers. So you want a balance between the two. One of the other things we can play with is toe-in. 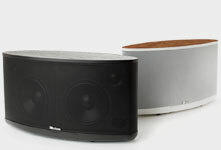 Toe-in simply is angling the speakers slightly towards your main listening position. IF I have a speaker that is firing straight forward (straight to the back and front walls and perpendicular to the side walls) that is a speaker that has zero toe-in. What you tend to get in this configuration is a washed-out image if the speaker is facing straight forward. So what you want to try doing in small increments is angling the speaker so that those drivers on the front baffle are starting to fire more directly at your listening position. Again, this is something that you have to play with. At some point if the speakers are toed in way too much, you'll get very very tight image focus, but you'll lose any sense of space and proportion. So you really have to play with that sort of adjustment. When I'm setting up speakers for the first time in a new room, I toe the speakers in so that I can just barely eyeball the side edge of the cabinet when I'm sitting at the listening position. Then I start playing: both toeing in further, and toeing out from that position, in 5-degree increments, to see where I get the best balance of the size and proportion of the soundstage and the center image. So there's a few things that you can try that are very simple, and even if you've had your setup sounding great for years, you may want to try a few of these things out. There really isn't a way (unless you get very lucky) to just plunk a pair of floorstanding speakers down in your room and have them perform perfectly. Enjoy the experimenting!